On a quiet side street in Tellico Plains there is a stone cottage that is a classic craftsman’s home, likely built in the early 20th century as part of the Arts and Crafts Movement. Brenda Lee recognized the style the moment she saw it. She and her husband purchased it, and Lee now sells antiques there. “I’m enamored with the arts and crafts period,” says Lee, who was treated at Fort Sanders Regional Medical Center last year after a stroke. 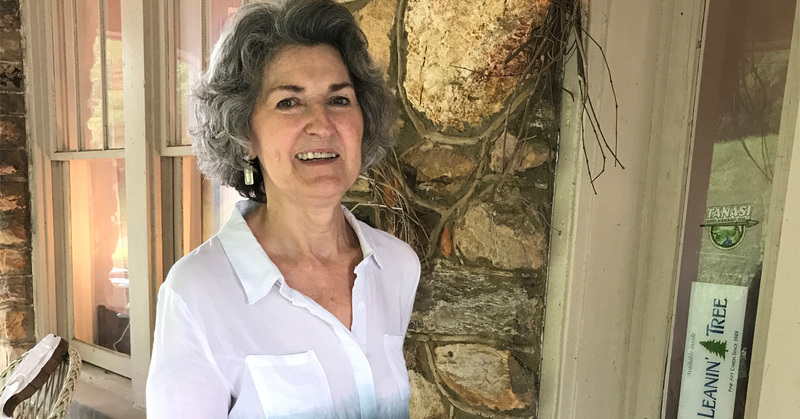 The idea that form should follow function resonates with this retired school teacher, who has always had a well-structured plan for her life and career. Lee says her husband asked her a question as he was leaving the house, and she responded in what she thought was an intelligent way – but her response stopped him in his tracks. After noticing that Brenda’s face was drawn on one side, he quickly made a decision to take her to Fort Loudoun Medical Center a Covenant Health hospital in Lenoir City. “He says he practically had to carry me to the car,” Lee recalls. Medical staff at the hospital promptly evaluated Lee, and determined she was having a stroke and required a specialized interventional procedure. As part of Covenant Health’s stroke hospital network, Fort Loudoun provides rapid stroke diagnosis and treatment, and fast and direct access to the advanced neurointerventional resources of Fort Sanders Regional Medical Center, the region’s only comprehensive stroke and rehabilitation center. As promised, expert help was ready and waiting the minute she was wheeled into Fort Sanders. Keith Woodward, MD, used a catheter to remove a blood clot from behind Lee’s right eye. By the time her husband arrived at the hospital, the procedure was finished. “I was surprised that it was over that quickly,” Lee says. Soon, Lee was able to lift her arms and legs again, and could smile. Lee had been familiar with Fort Sanders Regional and its reputation for stroke patient care because her brother had been treated there. Now she has a first-person story to share about the importance of getting the right treatment as quickly as possible at the region’s first comprehensive stroke center.